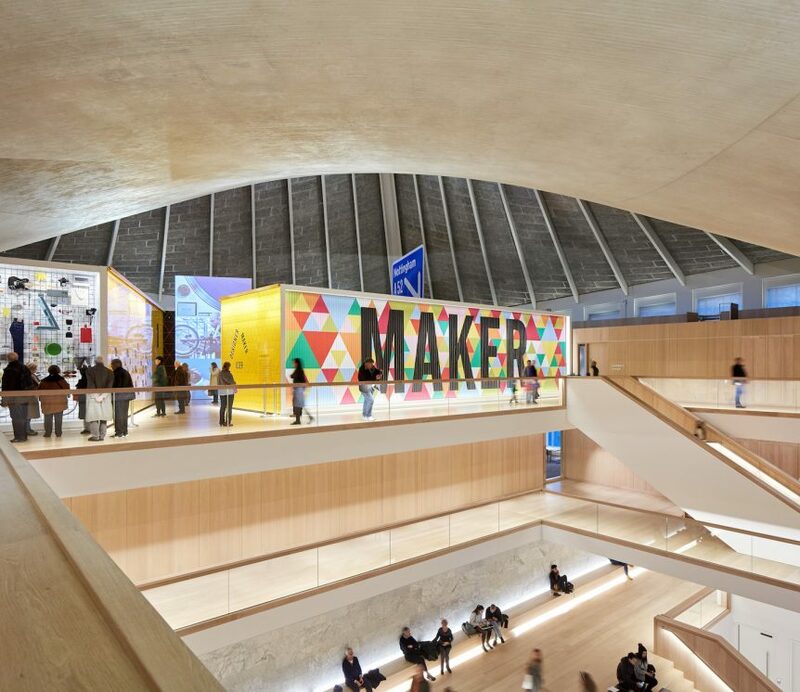 The Design Museum‘s director Alice Black was applauded into the building this morning as the institution celebrated welcoming its one millionth visitor since opening in its new home on Kensington High Street in November 2016. This milestone comes quickly off-the-back of a record breaking opening year for the museum as it surpassed its target of 650,000 to attract 780,000 visitors from November 2016 to November 2017. Current exhibition, ‘Ferrari: Under the Skin’ has proved a resounding success with visitors as it becomes the museum’s highest attended exhibition. To date, the exhibition has attracted over 90,000 attendees. With over £140m-worth of classic Ferraris on display, the exhibition celebrates the 70th anniversary of the brand and the man behind it, Enzo Ferrari. It explores the integration of design, manufacturing and racing prowess, which are the foundation of the brand’s enduring appeal. ‘Hope to Nope’, a show exploring the graphic culture of protest and dissent recently opened in the museum’s downstairs exhibition space. The move to Kensington has also enabled the museum to improve its learning programmes, with hands-on courses for families, young people and adults alike. Dedicating 500m² to create a world-class campus for learning, the Swarovski Foundation Centre for Learning on the museum’s first floor has welcome over 60,000 visitors as part of its education programme. You can read an interview with Deyan Sudjic in the New Design 2018 Yearbook, available to browse online here.